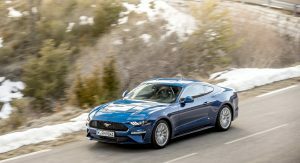 The time has come for Ford to launch the updated Mustang in Europe, with the car maker shedding more light on the new model’s changes. 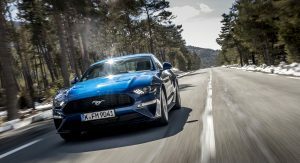 The Euro-spec 2018 Ford Mustang promises to offer a sharper driving character, more tech and more customization options than ever. 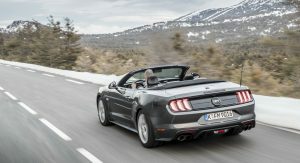 Ford will continue offering the new Mustang in both fastback and convertible bodystyles. 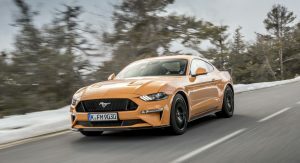 The design changes are the same with the North American-spec Mustang, including a new front fascia and more refined aerodynamics. 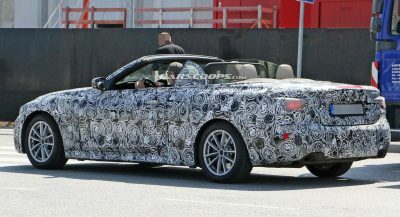 V8 models will get an updated version of the 5.0-liter powerplant, which now produces 443hp (450PS) and 390lb-ft (529Nm). 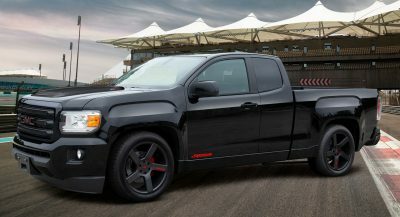 Paired to that is a six-speed manual transmission that now features rev-matching technology for smoother and faster downshifts. The real highlight however is the addition of the latest 10-speed automatic gearbox. 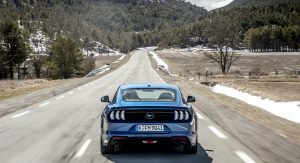 The combination of the V8 with the new automatic transmission enables the new Ford Mustang to sprint from 0 to 100km/h (62mph) in just 4.3 seconds. The chassis features the new MagneRide adjustable suspension which is operated via the on-board Drive Modes. 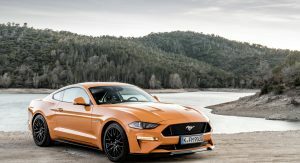 Ford will also offer the Active Valve Performance exhaust system that allows you to start the car in silent mode in order to keep your neighbours happy. 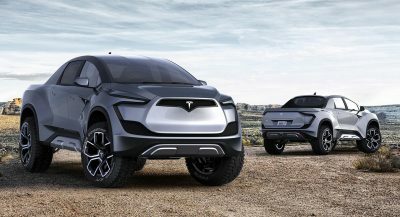 The cabin has been updated with new soft-touch materials for a more premium feeling, as well as a 12-inch all-digital instrument cluster. 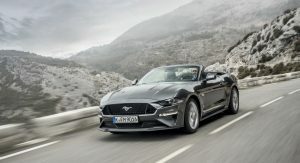 For the first time, Ford’s Mustang will be available with Adaptive Cruise Control and Distance Alert systems. A SYNC3 infotainment system with an 8-inch display is also present, and is compatible with Apple Car Play and Android Auto. 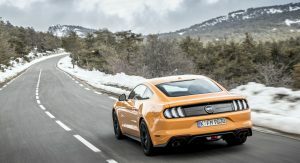 EcoBoost models are powered by the turbocharged 2.3-liter four-cylinder unit. The entry-level engine now produces 286hp (290PS) and 324lb-ft (440Nm) of peak torque. A six-speed manual transmission is standard, with the 10-speed automatic still being an option. 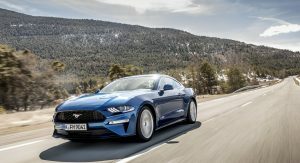 Ford will also offer the Mustang Bullitt as a special model in Europe, featuring a upgraded 457hp version of the 5.0-liter V8. The special Mustang will be available only in either Shadow Black or the classic Dark Highland Green.